This month, we talk to Brendan Halpin, author of two memoirs and three books of fiction. His latest, Dear Catastrophe Waitress, is a simmering romance between two scarred souls who have each been on the wrong side of a hit break-up song. Music plays a big part in this novel and all of Halpin's work, and we talk to the author about his take on pop in 2007, as well as his life as a teacher and a writer, and the ins and outs of marketing yourself as a novelist on the Internet. 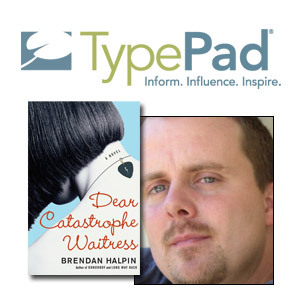 Visit Brendan's TypePad blog and check the TypePad Bookstore for the opportunity to buy Dear Catastrophe Waitress or any of Halpin's previous work. Sign up for TypePad with the promo code GUITAR and get a free copy of Dear Catastrophe Waitress.